Global Advertising Expenditure to reach over $550 billion by 2019 – a growth by 4.1 percent. 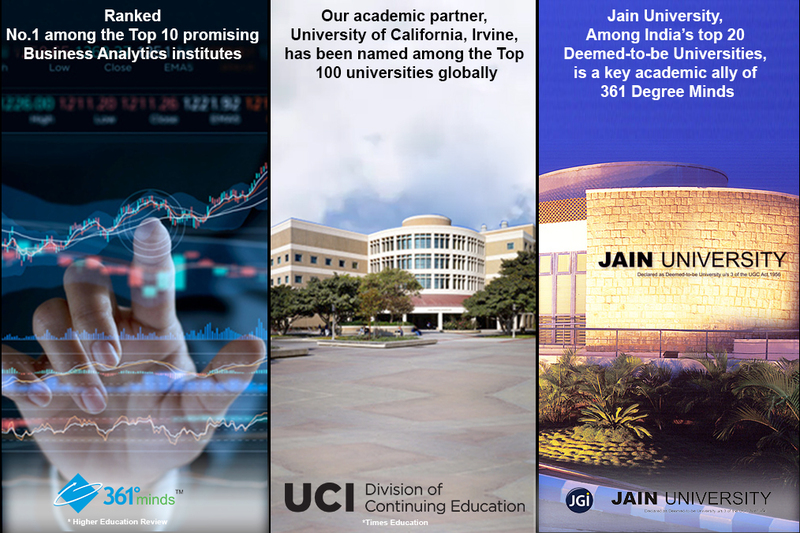 Stand out as one of the best Global Marketing Strategist through this unique course of the renowned University of California – Irvine. This course will enable you to build a great career in the Global Marketing Industry where marketing strategists are in high-demand. The Program is flexible to assimilate and incorporate technology updates into the modules, on the fly. This program also comes with the benefit of Placement support from 361 Degree Minds though you would not have the need since opportunities galore when you do this program.